Richard Irwin (Belper, United Kingdom) on 7 October 2007 in Plant & Nature. 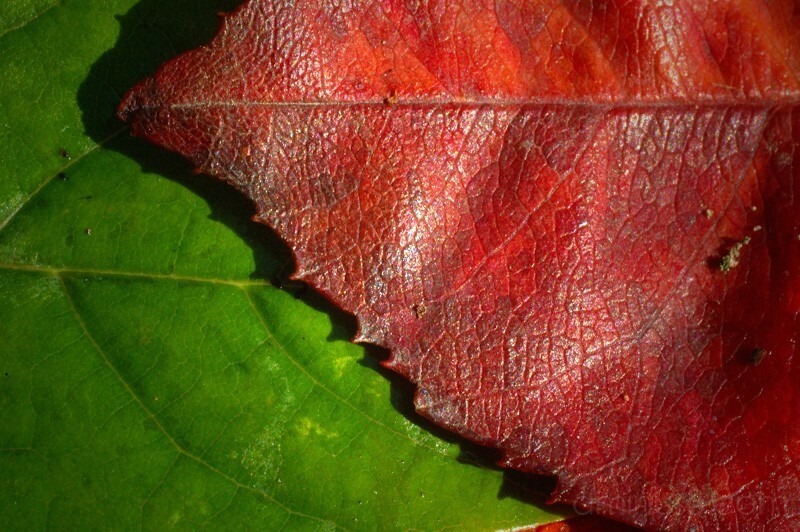 Wow, the texture of the leaf is so unique. Great shot! Beautiful photo! Great colour contrast and detail! awesome composition and details. the close crop makes this one almost abstract. Wonderful capture of texture and colors. The contrast is just amazing. Textures are so tangible... as in, you can feel it without touching it. Which makes this an incredible image. Colours are so intense. VERY nicely done Richard!! With the "breezes" we've been having, all the leaves are almost off the trees. Sigh, it is almost winter.... miss the colours already. Yah the red one is really leather like!Cool!